Arrive Dhaka airport & transfer to hotel. If time permits half day city tour to Sadarghat River front, old Hindu temples, Lalbag Fort of Mughal Empire, Museum, Shahid Minar and Curzon Hall (Dhaka University). Overnight at Hotel. Leave Dhaka for Moinamaoti, Comilla at 0800Hrs. 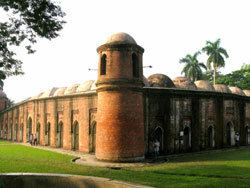 On the way, visit Sonargaon, the Ancient Capital of Bengal, which was built 15th Century. An interesting folk museum here. After lunch, you will visit Moinamoti, Salban Vihara the relics of old Buddhist Civilization. Its an extensive center of Buddhist Culture of 7th-12th Century. The attractions include, Buddhist Vihara (monastery) with imposing central shrine, Kotia Mura etc. Back to Dhaka at evening & Night Halt. Leave Dhaka by reserve van for Dinajpur via Jamuna Bridge at 0800Hrs. Arrive Dinajpur around 1500Hrs. Check in the Hotel. Visit the Ramsagar-historical pond (16th Century) & Night Halt. Visit the famous Kanthejee's Temple. This famous terracotta temple is a good example of the mixture of Hindu and Mughal (Akbar Region) Architecture. 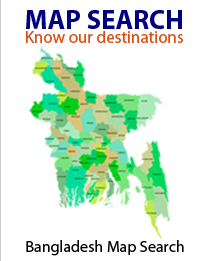 The drive is 30km long & it takes approximately one hour from Dinajpur. After lunch, drive to Paharpur, to visit famous Buddhist Stupa an archeological site of a 7th Century. This drive will take around 3 Hrs. At evening we will be at Bogra for Night Halt. Visit Mahastangarh, the fort of 12th Century & museum. After Lunch drive to Rajshahi. On the way you will visit The KUSUMBA MOSQUE which was built by Mughul at early 16th Century. Arrive Rajshahi at evening & Night Halt. Drive to Dhaka at 0800Hrs. 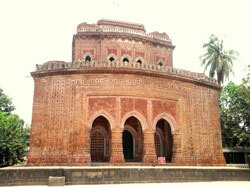 On the way, you will visit ancient Hindu's Temple (11th Century) at Puthia (Rajshahi District). Arrive Dhaka at late afternoon. 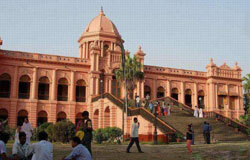 Full day Dhaka sight seeing includes Lalbagh Fort, Dhakeswary Temple, Star Mosque, Old Dhaka City Tour. Night Halt at Dhaka. Free till Departure. Transfer to Airport and good bye. 2) All Trough AC Transport for this tour program. 3) Airport transfer by hotel shuttle services. Food and Any other things not mentioned in the tour program.